By my 42nd birthday, I had achieved a fair amount of success by most people’s reckoning. I had been a stakeholder in a very successful Internet startup. I had held executive level positions and managed teams of really smart, driven people. I had started a company and had a very valuable lesson in failure and humility. I had traveled extensively and built a network of professional and personal contacts that were always happy to hook me up with a prospect or interview. Yet somehow, I felt like a fraud. I knew in my heart of hearts that I had achieved these things through sheer cunning, perseverance, and an innate ability to learn quickly on the job. Surely I was missing some fundamental business knowledge and skills that would eventually expose me as I progressed in my career. I knew that there was stuff that I knew…and there was stuff that I knew that I didn’t know. But what really concerned me was the things that I didn’t know that I didn’t know. So I did what many people do when faced with a gap in knowledge. I enrolled in an MBA program. I chose an Executive MBA program with a cohort format. Luckily, I was assigned to a group of truly excellent student colleagues, and we helped each other learn and be successful in a very challenging program. It was a great experience and it validated my thesis—the set of things that I didn’t know that I didn’t know turned out to be bigger than I thought. But oddly, the most valuable lesson came not in my MBA classes. Not from a mentor or colleague in any of the companies I worked for. Not from any book or seminar. My most valuable lesson came from a chance encounter with a poor farmer along the banks of the Amazon River. 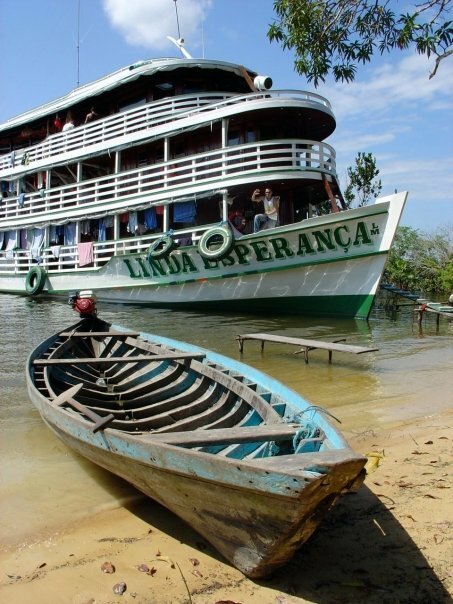 In February 2001 I took my second trip to the Amazon River in Brazil as a volunteer short-term missionary with Amazon Outreach. During my first trip in August of 2000, I had had a profound spiritual experience that left me confused and seeking confirmation that the change I was experiencing was genuine and not just an expression of some semi-conscious self-improvement. My purpose for the second trip was still very selfish, but as I’ve come to learn and appreciate, God always has a plan even when our goals and His are seemingly misaligned. When we arrived at the first village I was assigned to help the pharmacist at our makeshift health clinic dispense medication and vitamins. Shortly before Noon a middle-aged farmer approached the table and handed me a prescription—which was incredible given that we were more than 100 miles from the nearest town with a medical clinic. I looked at the paper and realized that it was a prescription for eyeglasses, not for medication. I handed it to our pharmacist and he remarked, “Too bad nobody’s working the eye care ministry on this trip.” In addition to medical, pharmacy, and dental service ministries, the mission also provides eye care services on most trips. But on this particular voyage, there were no volunteers who had been trained to use the equipment to conduct vision tests or dispense eyeglasses. The farmer explained through our interpreter that he saw our boat pass by his village the day before and that he had rowed most of the night and all morning to find us, hoping that we could help him. I asked our interpreter to explain to the man that we did not have anyone to help him and as she spoke, I could see his smile of hope fade. But in the end, he simply nodded, placed the prescription on the table, thanked us, and left the clinic. I was furious. I knew that we had literally thousands of pairs of eyeglasses on the boat, but no one with the skill to find the right pair for this man. As I walked back to the boat for lunch I read the prescription and realized the man had poorer vision than I did—and I couldn’t walk across the room safely without my glasses. How did this man navigate a river filled with dangerous fish and crocodiles? When I got to the boat I found the mission leader and explained the odd situation. I asked him if I could go down into the hold of the boat and try to find a pair of glasses that could work for the farmer and he agreed. I took the box in front of me down from the shelf, opened the top, reached in and took out one of the smaller boxes. I ripped the tape off and plunged my hand into the middle of the row of plastic bags and pulled out a pair of glasses. On the front of each package was written the “distance” and “add” values that correspond to the readings your optometrist determines from the eye examination. I read the numbers, then pointed my flashlight at the prescription sheet. To my eternal amazement, the numbers matched what was written on the plastic pouch exactly. Not only was the distance value (-4.50 & -4.25) a perfect match, but the axis and prism values that correct astigmatism matched perfectly. Out of more than 5,000 eyeglasses, I had picked the right pair on the first try. I took the glasses out of the plastic pouch as my hands trembled and laughed out loud all by myself in the steaming hold of the riverboat. Not only were the glasses a perfect match, but they also happened to be a sturdy and attractive pair of men’s glasses. I climbed up the ladder and raced up the hill to the village. After searching for a few moments panicked that the man had already departed for the long journey home, I found the farmer sitting on a stool in the shade of a tree outside the building we were working in. The man turned back to me, threw his arms around my waist and sobbed. We both remained there holding each other and crying until one of our interpreters came over and asked what was wrong. I explained what had happened and she knelt down and took the man’s hand, asking him if he was alright. He said something in Portuguese to her through his tears. “What did he say?” I asked. More than a decade has passed since that day but I count it as the most profound and important day of my life. It was the day that God used my hands to provide for the needs of a man half a world away. It was the day that I learned that God can orchestrate the lives of two people to bring them together for a moment in time to change them in ways neither thought was possible. When I consider all of the singular events that had to happen to bring the boat, the glasses, the farmer, and me together at that one moment in that unlikely place—I cannot call it anything but a miracle. But the real miracle was not just that a poor farmer in the middle of the Amazon got the exact pair of glasses to help him live better and see better. No…the real miracle was that a man who measured success by his title and paycheck, and claimed credit for everything that was seemingly good in his life—that blind man…well, he was given the gift of sight. For the first time, he saw that God is paying attention to us. All of us. His eyes were opened to the reality that everything he clung to had no eternal value whatsoever. He found that no achievement, money, accolade, power, or possession could compare with the simple act of serving and loving a complete stranger. 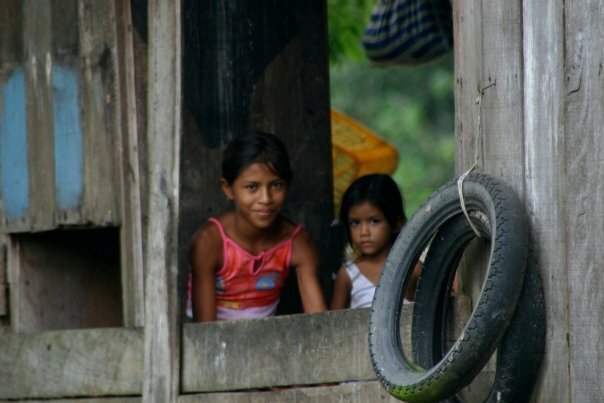 I reflected on this particular scene from my life most recently during yet another trip to the Amazon. Since 2000 I have served on 17 mission trips to Brazil, and my latest trip was very special. I realized that I am the best version of myself when I’m serving God on the river. And I pray daily to be that same man at home and in my professional life. I shared this story because I firmly believe that many of us cling too tightly to our titles, money, possessions, and comforts. The work we do every day in our chosen career is important, but it is not the most important thing. The rewards we get in the way of recognition, money, prestige, and power are all fleeting and have no lasting value. And none of it can compare with a simple act of love in service to another human being. The journey continues, and God shows me new aspects of His grace and mercy every day. And He continues to refine me in ways I never thought possible. 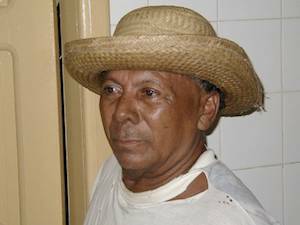 And I thank him daily for sending a simple Brazilian farmer into my life to help this blind man see. Monty,,,,,,this is beautiful. God gave you a gift and you use it well. I’m so proud. Oh, Monty! Such a sweet story. Thank you for recording stories of God’s mighty deeds so they will be remembered and help others “see” He is still changing lives. Through a series of “random” clicks on FaceBook, I found myself reading your story and feeling encouraged. Beautiful. Thank you for sharing. A story of hope that leaves me inspired. Thank you for writing this. It was no random act that I found your blog today! Thank you. Just discovered this via your post shared on Facebook. Thank you for adding yet another example of the cloud of witnesses, living and dead, who surround us. Giving us new eyes, as well. And, hope. I’ve read your story about what happend to you at the amazone river. Its a beautiful story and reminds me again of the great distance between what we do on a daily base and what is actually important. I’ve also read some of your opinions on different subjects and i have to admit that you sound very sensible. I do not believe in a god, i do believe in science and i certainly believe in respect and love for your surroundings (humans and nature). As far as i’m concerned, this last part goes above everything else, including any irrational faith or belief in any kind of god. So i accept that some people believe in a god, i can even respect it when it comes from people with a good set of realistic values. My fear however is this: when you unconditionally believe in a god, how can you restrain yourself when one day you are absolutely convinced that your god wants you to do something that will negatively affect or hurt other people? What will come first then? Your belief or your respect for other people? I dont think a belief in a higher power is evil in itself, but i do think its a dangerous premise that can be easily exploited by others, as has been the case in most of our history and still today. I believe that any attempt to justify harmful actions or attitudes via faith in a higher power is an expression of evil. History is littered with examples of this group or that perpetrating death and destruction in the name of some god. One of the things that brought me to faith in Jesus is the simple fact that His teachings provide a completely integrated and cohesive worldview that, if practiced honestly, will yield a life of peace and service to one’s neighbors. Wonderful, sir. Just great. Thank you for sharing. Well now I needed to cry a bit & this lovely story brought me in touch with God through you. I read an article & then clicked on your name. I’ve never heard of you, yet I feel like your spirit is in me as it is with the company of saints. I’ve been too immersed in my pathetic little world. That I’ve lost sight of the overarching love t that surrounds me. In part this is because I have listened to way, way too much about this election cycle. I recently defended my choice for the Presidency. With a friend totally wearing the wolf’s clothing & no matter what I said she could not reach the other side…we left that we’d be doing our own thing. What surprised me was that I bared my soul & realized that I HAD read & listened a lot before throwing my hat into one ring. I was proud that I could cite facts & feelings to support my perspective. It brought up some ugly experiences in my past & I found it still hurts, maybe more now because I have grown a tiny bit since then. However I also realized that the pain is greater than I thought it was. There’s too much internalized & not enough expression or reaching out. I guess I’m terrified as was as a kid that somehow bad “stuff” is in me & therefore I’m ugly. This story is so simple & direct to my soul – thank you for allowing me to touch His face through you. Lamont I loved your story, it brought tears to my eyes! I agree totally and hope I am lucky enough to meet you someday! A kindred spirit! On my medical mission trip to the Amazon in Ecuador I experienced similar feelings! I am a nurse in Florida and I hope to go back again someday. Your beautiful writing is touching and a great reminder of one of the best Universal Truth. Any prayer treatment affirming that all is light, with total conviction is answered immediately. Just Beautiful, thank you for sharing! I obviously needed the reminder coming across your blog is no accident! Thank you so much for the kind words. I am pleased that the story spoke to you. Peace!